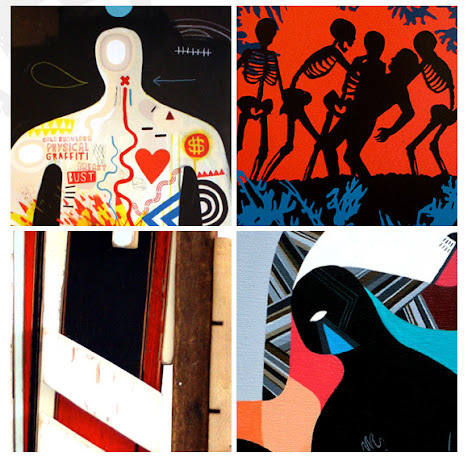 Cement Gallery present their Winter round up - with a focus on the more abstract, graphic artists under their banner. All four artists blend a range of materials in their work and this show brings you their most recent, graphic pieces - each in their own unique style. Opening at the East Gallery on Brick Lane on the 23rd November, the exhibition will feature new works from David Shillinglaw, Eelus, Olivier Vrancken & Mark McClure. The show will then run from the 24th November - 29th November 2011. 11am - 7pm daily. Get yourselves down there.